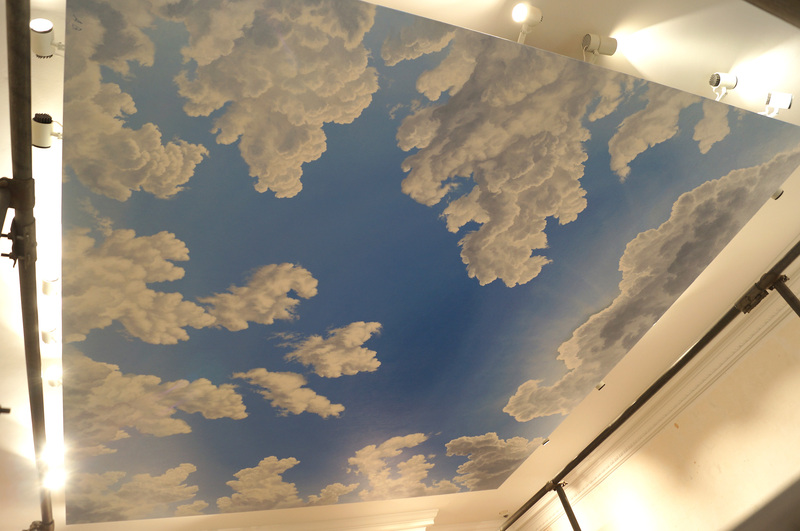 In the clouds at Christian Dior Boutique in New Bond Street, London. 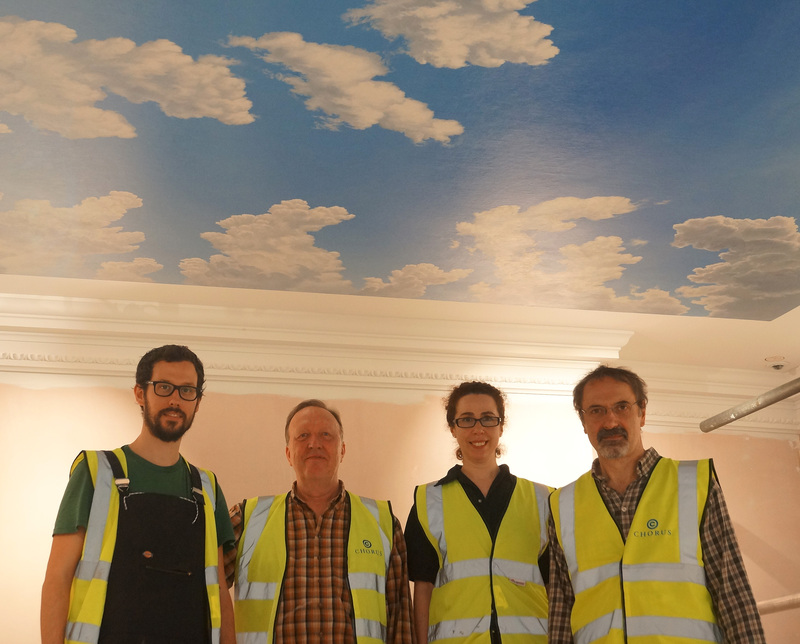 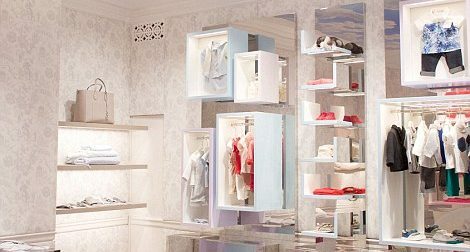 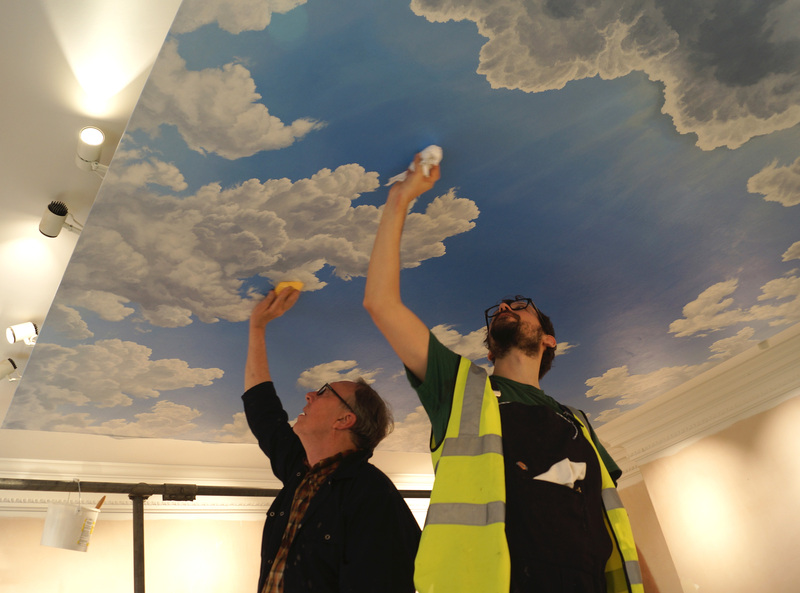 We spent a couple of days last month attaching a large super-realistic cloudscape by Alberto Bertoldi (albertobertoldi.com) to the ceiling of the Dior baby room at their new London boutique. 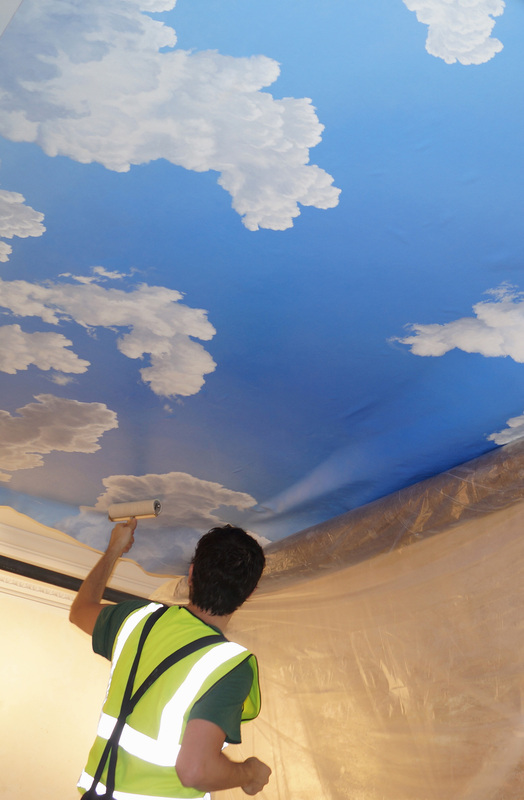 The brand new canvas was adhered to a suspended section of the ceiling using a water based conservation grade adhesive. 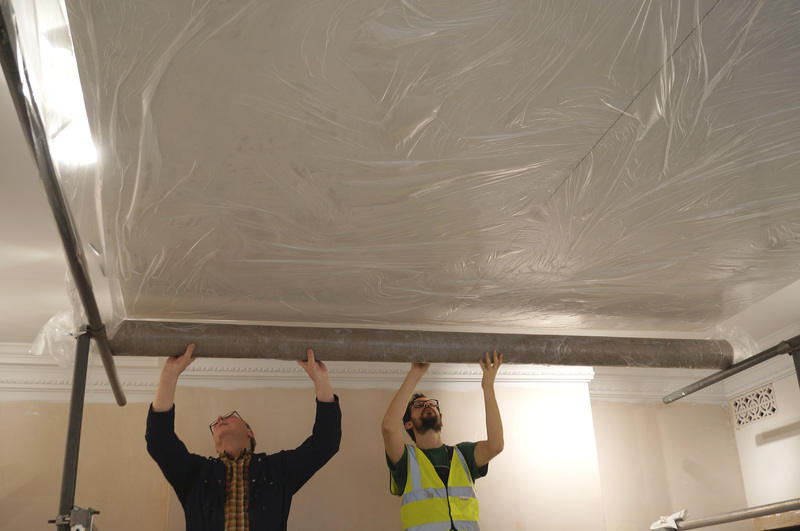 It required meticulous preparation as once the glue was applied to the back of the canvas there was no going back – it had to be fixed before the glue dried out. 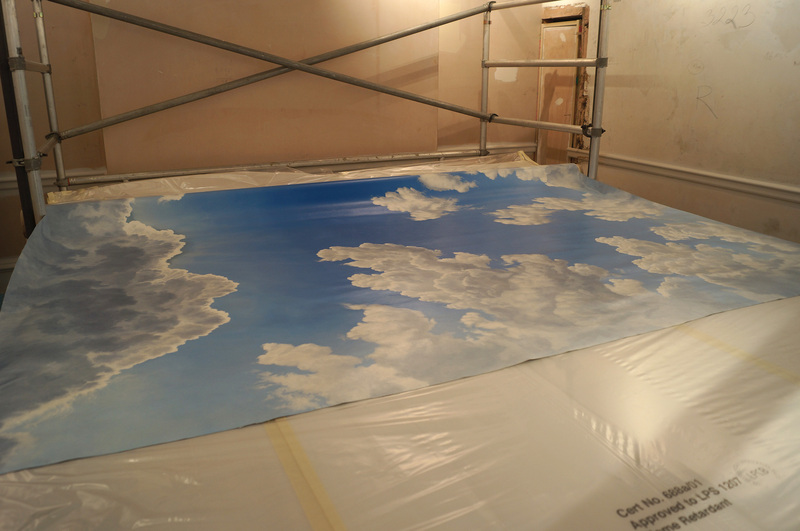 A window of an Italian sky in the heart of London!